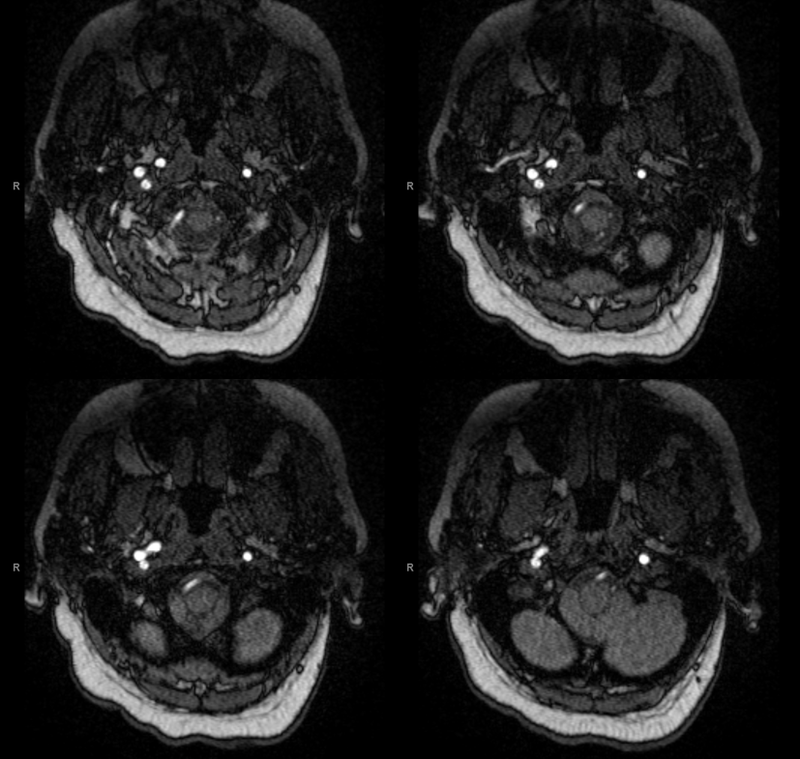 This patient presents with … actually, you tell me what the presenting symptom is — headache, ataxia, or crossed sensory findings — pick one. 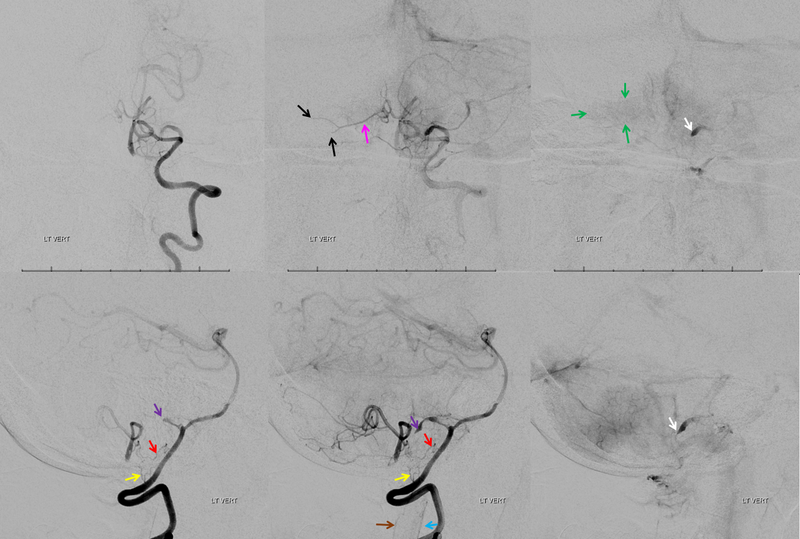 Frontal and lateral views show occlusion of the left PICA (white arrow) beyond the medullary segment (purple arrows). Notice clot in the proximal medullary segment, best seen on lateral views. The is a dominant large PICA with variant bihemipheric supply (pink and black arrows). Notice truncated appearance where black arrows are corresponding to distal embolic occlusions. the parenchymal blush is outlined by green arrows. 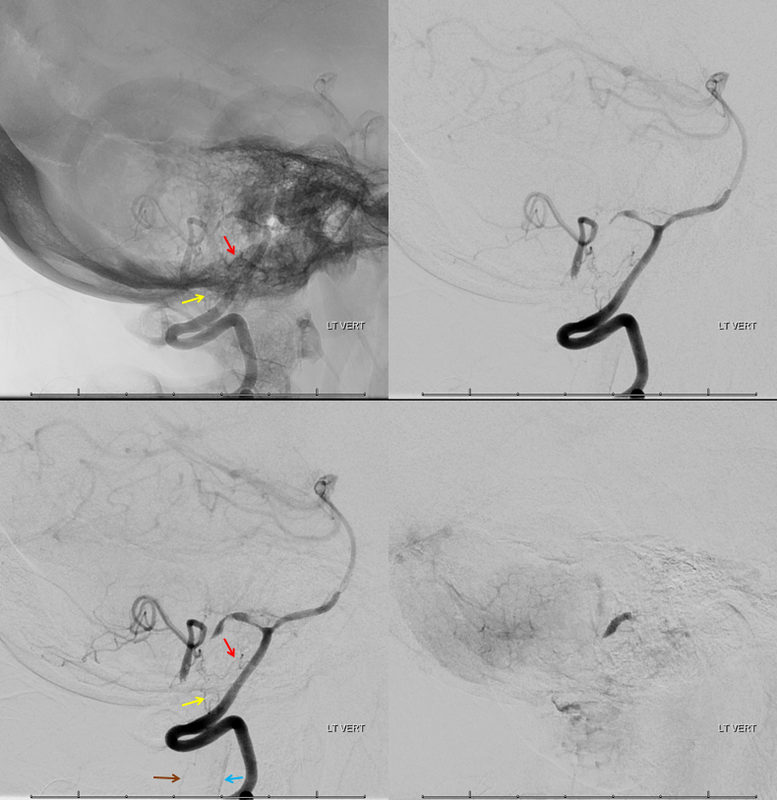 How is the PICA reconstituted — the most common way it is — via the Lateral Spinal arterial network at C1 (yellow) and proximal intracranial (red) segments. Notice inferior component of the lateral spinal artery (brown arrow) just below its C1 segment (red arrow). The anterior spinal artery is shown by blue arrow. The proximal vert is normal. Extensive workup showed hypercoaguable state with no arrhythmia. Given results of workup and clot in the medullary segment with no lateral medullary symptoms (yet), patient was switched from ASA to Coumadin. What would you do? Another set of lateral views. Look at that proximal PICA clot in the bottom left image. So, teaching points — bihemispheric PICA explains diffusion restriction pattern. Nice lateral spinal artery reconstitution case. Also, these lateral spinals are quite small and can develop flow-related aneurysms down the line if the main PICA remains closed. Another reason for Coumadin. Presenting symptom was headache. 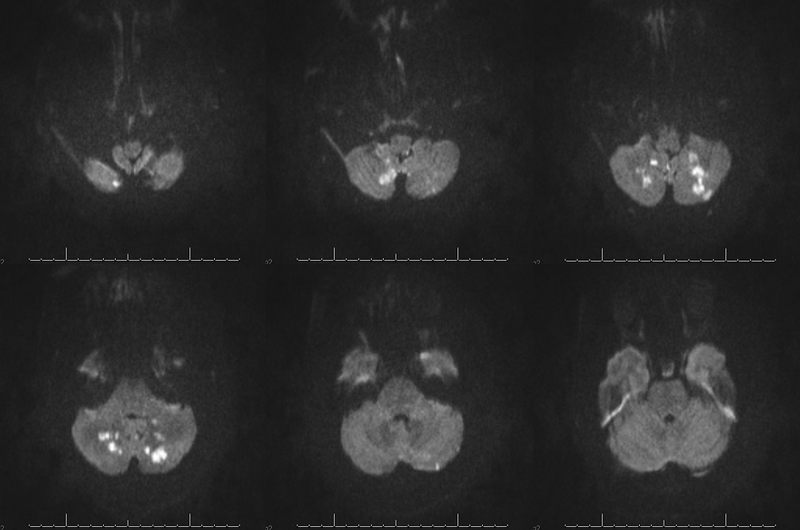 Inferior cerebellar territory infarcts (without vermian involvement) usually produce no focal deficit.